If your Instagram feed looks anything like mine, I am sure you will have noticed the latest colorful superfood to hit the top of the smoothie bowl: bee pollen! I have become somewhat obsessed with this pretty yellow superfood, and with good reason! Bee pollen, comprised of the male seed from millions of flowers, contains almost all of the nutrients required by the human body. These tiny little pellets are packed with health essentials like proteins, free amino acids, lipids, flavonoids and vitamins. Bee pollen is actually thought to be one of the most completely nourishing foods nature has to offer! Even though it seems to have only relatively recently come into vogue with the foodie community, bee pollen has been used for centuries in traditional medicinal practices. The Chinese, for one, have long utilized it as a nutritive stimulant and to enhance energy and endurance levels. And it is even officially recognized as a medicine by The German Federal Board of Health! Bee pollen is the result of the collection of millions of grains of flower pollen by bees. In fact, just one teaspoon is thought to contain over two-and-a-half billion grains of flower pollen. The flower pollen itself is required for the fertilization of plants and, after its consolidation, is used to feed a hive’s young bees. Because of this important function, each pellet is made up of approximately 40% protein, the majority of which is in the form of free amino acids that your body is able to use directly. But Why Should I Be Eating It? The health benefits associated with bee pollen have been circulating for centuries. 1. Nutrition Supplement – Bee pollen is filled with numerous vitamins and both micro- and macro-nutrients. It also packs a hefty punch of protein and free amino acids, all of which support a healthy and complete diet. 2. Weight Control – It has been used to encourage weight loss thanks to its low-calorie density and dose of phenylalaninea, a naturally occurring appetite suppressant. Moreover, bee pollen has been said to reduce cravings, mitigate addictions and stimulate the metabolic process, which speeds caloric burn. Weight stabilization is further encouraged by its ability to correct the types of metabolic chemical imbalances that can result in abnormal weight gain or loss. Bee pollen also has a sizable quantity of lecithin, a substance that assists in the dissolution of fat and the flushing of it from body. 3. Cholesterol – Bee pollen is thought to have the ability to increase HDL (“good”) cholesterol as well as to lower LDL (“bad”) cholesterol. In addition, it may be able to normalize the levels of both blood serum cholesterol and triglyceride. 4. Allergies and Hay Fever — May alleviate reactions by supporting the respiratory and immune systems. 5. Fertility – Bee pollen may be able to stimulate the ovarian function and improve the ability of a woman’s eggs to survive an incubation period. 7. Skin Care – Aging and unhealthy skin have been said to be noticeably improved by the consumption of bee pollen. Its unique combination of amino acids and vitamins is thought to prevent the premature aging of cells, while simultaneously stimulating the blood supply to, and growth of, new skin tissues. Skin health is furthered by bee pollen’s ability to protect against dehydration and help relieve inflammatory skin conditions like eczema and psoriasis. 8. Anti-Bacterial – Use bee pollen to help prevent cold and flu by tapping into its ability to inhibit the development of numerous harmful bacteria. 9. Blood – One key component of bee pollen, Rutin, has the ability to strengthen the capillaries. Other related benefits include reported increases in both red and white blood cells and a subsequent strengthening of immunity. 10. Pain – Bee Pollen has been associated with the alleviation of pain from sources such as: PMS, mouth sores, joints, urination and a host of inflammation-related problems. 11. Improve Stamina and Athletic Performance – Once called the “greatest body builder on earth”, bee pollen has been used throughout history and by serious athletic competitors to improve energy, vitality, endurance and to help build strength. The most recent research suggests caution only in the cases of bee pollen allergies and pregnancy. Stop taking bee pollen if you notice any signs of itching, swelling, shortness of breath or lightheadedness. If you are able to tolerate it and are looking to reap maximum benefits, be sure to buy from a reputable company or directly from a local and trusted beekeeper. It is important to make sure the bee colonies were not treated with any chemicals and that the pollen is free of pesticides. And be wary of any product that advertises itself as synthesized. Even though lab-produced pollen may possess all of the known nutrients, bees die when fed man-made pollen. This suggests that it is missing a crucial element present in natural pollen and, therefore, cannot be guaranteed to provide any of the possible benefits. It is also important to note that there has not yet been enough rigorous research or evidence to conclusively prove the effectiveness of bee pollen in all of the areas listed above. However, the centuries of use in traditional medicine and the popularity in modern practice certainly warrant giving it a try! Okay, I’m Sold — What Now? Bee pollen can be enjoyed in a number of ways, making it super easy to incorporate into your day! You can grind it up into a powder and add it to juices, smoothies or mix it in with foods like pumpkin or Super Oats. It can also be taken by the spoonful as a supplement, or soaked in warm water for a few hours and enjoyed as a rejuvenating beverage. My personal favorite is to sprinkle the granules directly on top of my smoothie bowls, cereal or yogurt! I will sometimes even add it to the top of baked goods like banana bread or Hot Oats Muffins. It is essentially flavorless, but adds such a nice pop of color and just a bit of crunch! – Bee pollen is richer in proteins than any other natural animal source and contains more amino acids than eggs, cheese or beef of equal weight! – Bee pollination accounts for the furtherance of more than 80% of the Earth’s plant life. – It takes one full month of 8-hour days for a single bee to produce one teaspoon of bee pollen. – Bees have been gathering pollen and producing honey for over 150 million years! – The color of bee pollen granules can range from bright yellow to black — this variation is a result of collection from a variety of different plant species! 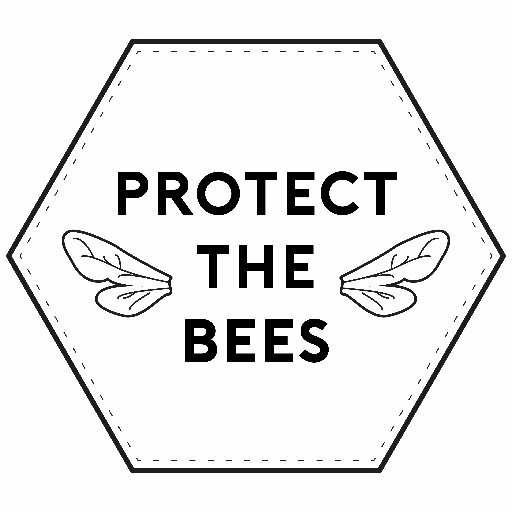 Bee populations around the world are currently under threat due to a combination of environmental changes and the widespread use of pesticides — find out more about how to protect bees and other pollinators by visiting: https://www.epa.gov/pollinator-protection.